How to Plan your Wedding Day! Did you get engaged over Christmas? 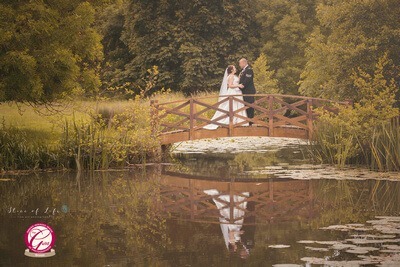 Congratulations from me and the team at Slice of Life Photography. Are you wondering about all the things you’re going to need to do and when you will need to do them? Wedding planning can be quite stressful and the most important thing is to be organised and prepared. This in mind, I have put together a wedding Planning countdown for you to use in your preparations, a guide of what to do and when to do it. 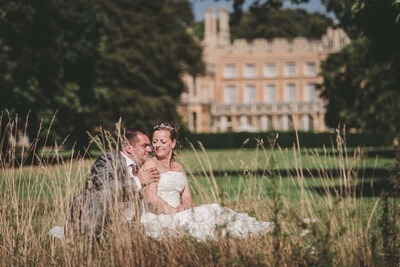 I have based my timings around a 12-month engagement / planning time but your engagement maybe longer or shorter than this so you may need to jiggle the timings slightly 🙂 Allowing at least 12 months will help when hoping to secure the best venues and suppliers at the best prices. Sit down with your partner and discuss your ideal wedding, hopefully your thinking along the same lines. Draw up a budget. Be realistic about what you can afford. Decide whether you want to plan your own wedding and if appropriate research and hire a professional wedding planning. Pick some potential wedding dates – beside to check with important guests to avoid clashing with other events. Consider your possible guest list. It is helpful to have an idea of approximate number of guests when picking venues. Book your venue(s) – The sooner you book your venue the better. Some popular venues will be booked up months or even years ahead for significant dates. You’ll need a venue for your ceremony (church, registry office or licensed civil wedding venue) and a venue for your reception. Things to consider when making your choice are seating capacity, catering facilities, indoor and outdoor areas for your wedding photos. 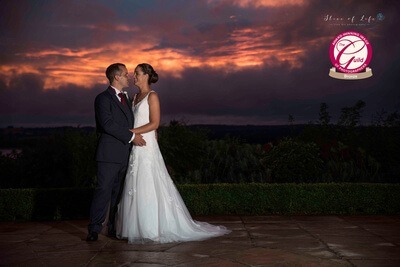 Book your Photographer – Find a wedding photographer who offers the style of photos you are looking for. Do you want traditional wedding photography, a reportage story telling style or maybe a mixture of formal and relaxed wedding pictures). 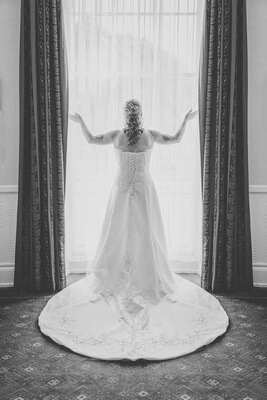 Meet with your photographer and view their portfolio and a whole wedding album. Popular dates get booked up early. I have had weddings in my diary 2 years ahead of the wedding so it’s important to find your photographer early. 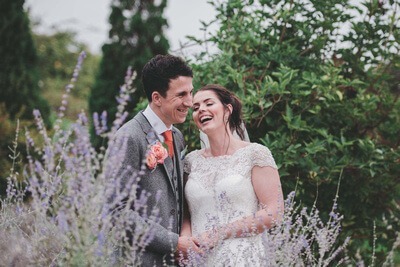 Book your Videographer – The same principles apply for the videography, its worth considering if your photographer can recommend someone that compliments their style so you know they will work well together. Start to think about wedding dresses and styles – dresses that are made to order need to be purchased at least 6 months before the wedding. As soon as you start booking anything make sure you organise wedding insurance to protect any deposits you pay. Decide and book what type of entertainment you want. A pianist, violinist, DJ, Band, wedding singer? Some people book magicians or children’s entertainers too. Contact decor hire companies if you need to rent anything such as marquee, chair covers, centre pieces. Research and secure accommodation for guests that may be traveling from out of town. 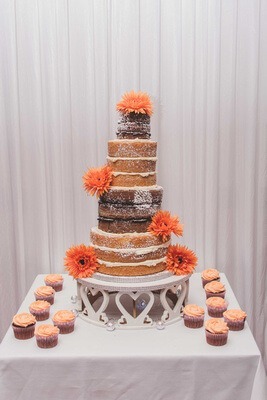 If your reception venue is not providing the catering, then you will need to book outside caterers. Book your cars – You’ll need a bridal car for you and whoever is giving you away and possible a 2nd for your mother and bridesmaids. Book your florist – Decide how many flowers you would like and where. Book your honeymoon – don’t forget to check your passports are in date. Meet your minister / registrar – they will be able to answer all your questions and you’ll need to think about music and readings. Order or make your wedding stationary – invitations, order of service, place cards and thank you cards. Attend pre-wedding counselling (if required). Book your makeup artist and hairdresser – book a trial complete with tiara and veil if possible. Book your honeymoon suite (if it’s not already part of your reception package). 3 Months to go to the Big Day! Buy your wedding shoes and accessories – get your shoes in plenty of time for your first dress fitting. And remember to break them in. Decide on prayer, readings and music. Arrange vaccinations for honeymoon if required. Start gathering address for the guest list. Decide on a gift list – this is usually sent out with wedding invitations. 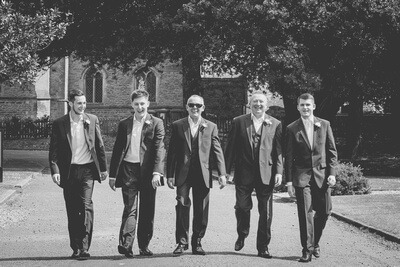 Buy gifts for best man, ushers and bridesmaids and bouquets for mothers of bride and groom. Send out invitations. 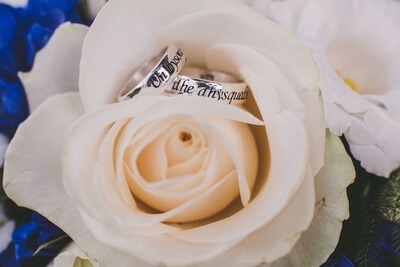 These are traditionally sent 6 – 12 weeks before the wedding. Include information for your guests on overnight accommodation, transport, parking, dress code, gift list, RSVP details and ask about dietary requirements. If you’re having personalised vowels now is a good time to start writing these. 1 Month to go to the Big Day! 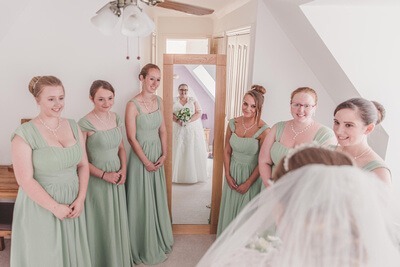 Final dress fitting – make sure you take your maid of honour or mum with you so they know how to fasten your dress. As a wedding photographer, I have seen a few brides panic when they realise no-one knows how to lace the dress. Finalise details and order the order of service (usually only given out for church weddings). Reconfirm the wedding arrangements with all your suppliers – You should receive a timeline from your venue. Your wedding photographer may want to meet with you to discuss group photographs and timings for the day, your DJ or band will require song reuse, including details of your first dance. Review your RSVP list and chase any outstanding responses. Arrange the wedding rehearsal if you are having one. Have a facial (this allows time for any imperfections drawn out to settle down before the big day). Have your Stag and Hen Parties. Have a haircut and colour if needed. Final head count to venue / caterer. Remember to consider if you are expected to provide a meal for any vendors, some DJ’s and Photographers request that they are provided with food). Have the wedding rehearsal, this is helpful so everyone knows where to stand and when to speak etc. Pack for your honeymoon and order currency. Break in your wedding shoes (around the house with socks on is a great way to stretch them). Have any beauty treatments (waxing, pedicure, manicure etc.). Create a wedding emergency kit – Include make up, a compact mirror and powder, lipstick, tissues etc., anything you might need on the day. Ask your chief bridesmaid to carry it for you. Buy ivory brolly if the weather looks to be wet. Ensure you have your something old, something borrowed and something blue. Ensure you have payment organised for any final balances that need to be paid. Deliver any final items to the reception venue (favours, table plan, place cards etc). Give the best man the wedding rings and the fee for the minister (if he hasn’t already been paid). Remember it isn’t the end of the planning but the beginning of your marriage. I hope you have found the information helpful and can use it to create a list to aid your planning. I wish you every success with you planning and your future married life. If you would like more helpful tips for organising your wedding why not subscribe to my newsletter. To find out more or check my availability for your wedding date, please contact me via the form below.